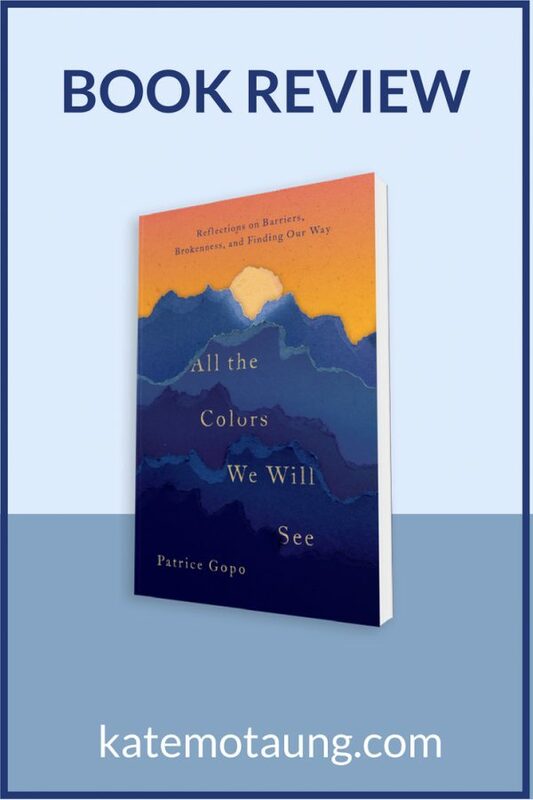 It’s a collection of essays called All the Colors We Will See: Reflections on Barriers, Brokenness, and Finding Our Way, by Patrice Gopo. I first met Patrice in Cape Town in 2007, shortly after my youngest was born. We shared a mutual friend, who introduced us while Patrice was in South Africa for ten weeks. As Patrice shared at my book launch reception earlier this year, back then we both assumed our paths had crossed for a short time and might never cross again. Instead, the Lord continued to give us opportunities to connect, and Patrice has since become a dear friend and writing life confidante. I’m so grateful for Patrice’s input and encouragement in my own writing journey over the years. Now it is such a delight for me to celebrate this book’s release. Patrice boldly and beautifully writes of her experience growing up in Alaska as an American woman born to Jamaican immigrant parents. She shares selected memories from what it was like as one of the only brown-skinned children in her school, and how her identity was shaped by various facets of her upbringing. In this collection of essays, Patrice offers rich insights and wisdom into a broad range of topics including race relations, commitment, friendship, and identity. This is an important and timely book that will likely open doors for deep conversation. 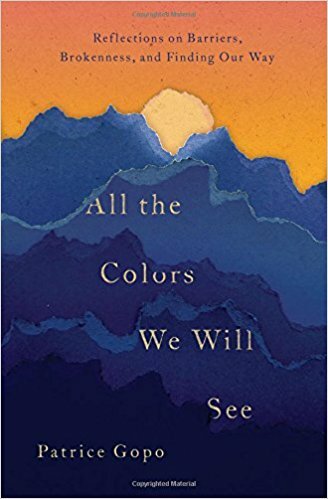 If you’re looking for a beautifully written, thought-provoking read, I can highly recommend All the Colors We Will See. 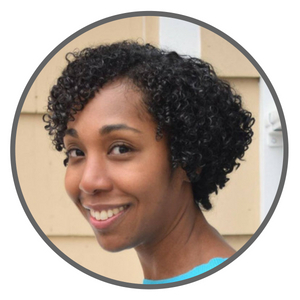 Patrice Gopo is a 2017-2018 North Carolina Arts Council Literature Fellow. She is the author of a forthcoming essay collection about race, immigration, and belonging entitled All the Colors We Will See: Reflections on Barriers, Brokenness, and Finding Our Way. She lives with her family in North Carolina. Find her at patricegopo.com. Oh, and if you want to meet Patrice in person, she and I will both be presenting at the Breathe Christian Writers Conference in Grand Rapids, Michigan, in October! Learn more about the Breathe Conference and register here. Thank you, Kate, for sharing this! I’m thankful our paths intersected so many years ago and thankful that we’re on this writing journey together. Looking forward to seeing you at Breathe!